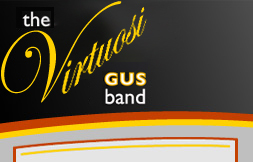 Please note that this is an old version of the Virtuosi GUS Band website. As such, it is out-of date, is no longer updated and may be removed any time. Rory moved to the GUS Band from the Towcester Studio Band where he held the Solo Euphonium seat in 2006 and 2007. He is also principal euphonium of the Northampton County Youth Brass Band with which he has toured Italy and Poland as well as performing in Symphony Hall and Festival Hall. 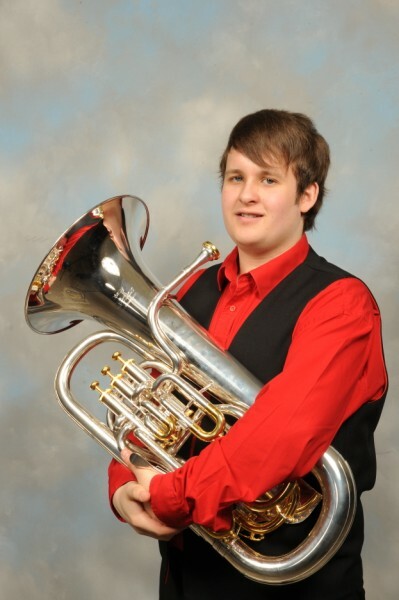 Rory currently has euphonium lessons with David Childs and Keith Muggeridge. After passing his Grade 8 with High Honours from Guildhall, Rory went on to do his Performance Diploma from the Associated Board of the Royal Schools of Music. Since then, Rory has also achieved a Distinction at Grade 8 Tenor Trombone under Brad Turnbull. Rory also plays euphonium in the National Youth Brass Band of Great Britain and is principal trombone in the Northampton County Concert band. He has also spent some time with Northampton Orchestral Winds and Northampton Concert Band. Over the last two years, Rory and friends Andy Johnson, Jonti Smith and Matt Jolley have started the Primo Tuba Quartet. They entered the National Festival of Music for Youth and after receiving many fantastic comments from the adjudicators at the Regional and National stages of the event, were invited to perform at the Royal Albert Hall in the Schools Proms 2008.